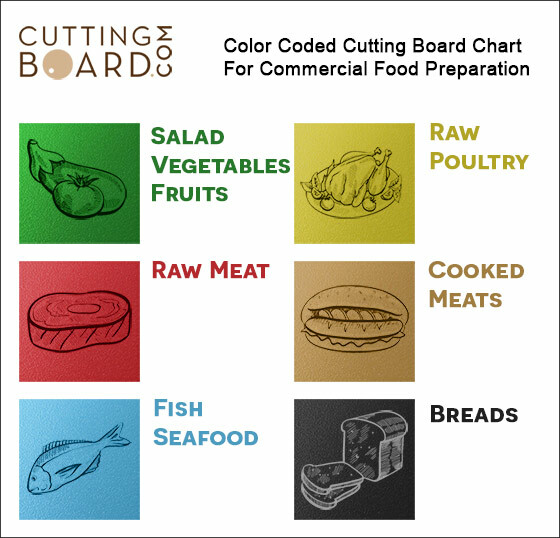 Color coded in red, this cutting board is designated for the preparation of raw meat. As one of the most common prep tasks, chopping and slicing meat makes the red boards some of the most commonly replaced boards in commercial kitchens. Not only NSF certified and color coded for cross-contamination, our boards are extra durable. Made from high density polypropylene plastic, (HDPP) they can withstand up to 185 degree heat, making them ideal for commercial dishwashers, and more resistant to warping and scarring from regular knife use. All of our poly plastic boards bear the NSF logo. For other sizes and colors, visit our plastic cutting board pages. Otherwise for non-standard sizes, click on our custom plastic boards page or contact us at help@cuttingboard.com for a quote. Click the button below to add the Commercial Red Plastic Cutting Board - 24 x 18 x 1/2 to your wish list.